You can save money this academic year by borrowing your textbooks from the library! Be mindful that reserve textbooks are meant to be shared with your peers. In order for as many students as possible to use these textbooks, they are made available in Library Reserve Collections and may be borrowed for 2 hours during library hours. 1. Textbook is REQUIRED for the course (not recommended or optional). 2. Cost is $50 or higher. Interested in finding out if your course textbook is available to borrow? Search the Reserve Collections. In this age of straight-forward Google searches and online shopping, we often forget the power of browsing. Companies, streaming services and, yes, even libraries are struggling to replicate browsing experiences in the virtual world to reveal their products and content. Within academia in particular, the evermore digital nature of scholarly communication, causes the unfortunate side-effect that we seldom 'browse' the library shelves or flip through complete journals anymore. This is where the BrowZine, a mobile and web-based application, comes in. BrowZine, is a "journal engagement platform" by library technology company Third Iron that provides the simple service of enabling library users to 'browse' journal content that the libraries subscribes to. You can download the free apps for several types of mobile platforms or you can access a web-based version on a desktop or laptop. After quickly creating an account with your university email account you can start to fill your virtual shelves with the journals relevant to your field. You can browse by subject matter or input names of specific journals. 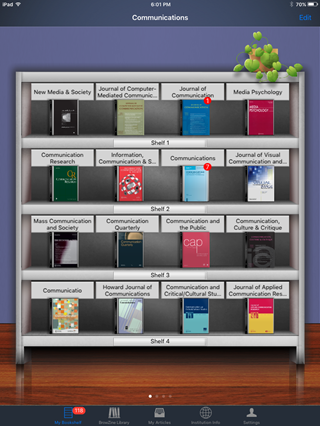 As journals update content overtime, the BrowZine app notifies you. You can then skim the titles of the articles and save any you wish to read later. BrowZine also takes you directly to the article PDF version (if the publisher provides one) so you can read it within the app, essentially recreating the 'flipping through a journal' experience. BrowZine will be of most use to faculty and grad students trying to keep up with research publications in specific fields of study. As grad student embarking on my first major literature review process for my research, I tested BrowZine for a few weeks to see if it might help with the discovery research within my area of interest. I took a moment and investigated in the Journal Citation Reports JCR database, which journals in my field of study were the most cited or had the highest impact factor and added these journals to my 'shelf' in BrowZine. Over the course of several weeks, whenever I had a free moment, I skimmed through my journals in BrowZine. and several others that I passed on to other fellow grad students. I also have a long list of interesting articles unrelated to my research that I want to return to when time permits. My little trial of BrowZine has proven to me that browsing really does expose you to new ideas and avenues of research you never considered. BrowZine also keeps you abreast of the bigger picture of what is happening in your field by revealing the full contents of specific journal issues, allowing you to see trends in a broader sense. 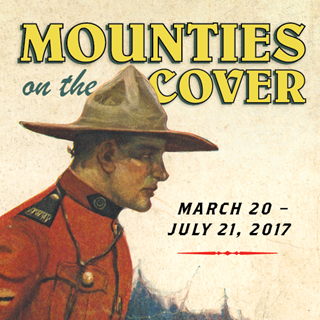 Mounties on the Cover (UAL, 2017) won an Award of Excellence from the annual UCDA Design Competition in the exhibition publication category. Lara Minja from Lime Design created a beautiful publication and curator Al Lund selected a delightful array of book covers for the exhibition and catalogue layout. Copies of the exhibition catalogue can be purchased through University of Alberta Press, Indigo, Amazon, or in person in the Peel library. If you did not get an opportunity to see the exhibition, you are always welcome to submit a Retrieval Request Form to have a look. Simply request selections from the exhibition of the RCMP Book Collection of S/Sgt. Al Lund to view in our reading room. Patrons are also encouraged to look at catalogued material from the RCMP Book Collection of S/Sgt. Al Lund, which can be searched by typing "RCMP Book Collection" in the library catalogue. Shoah: (noun) a modern Hebrew term used since the 1940s to describe the Holocaust. The mass murder of Jews under the German Nazi regime during 1941–5. The University of Alberta Libraries now offer access to the Shoah Foundation Visual History Archive, the world’s largest archive of audiovisual testimonies of survivors and witnesses to genocide. 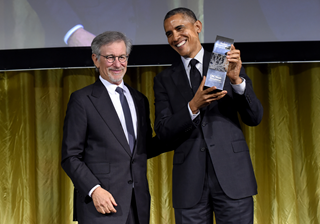 The USC Shoah Foundation was founded by Steven Spielberg in 1994 after he began filming Schindler’s List. Spielberg began interviewing survivors and the interview structure came from his desire to tell a complete life story. Survivors would be asked to start with their background history, then their experiences during the war, and then describe how their lives unfolded in the aftermath. 52,000 interviews were conducted between 1994-1999. The collection was then transferred to USC who will preserve in perpetuity. The collection has grown to capture the testimony of people who have survived mass violence. The collection, which began as a repository of Holocaust and World War II testimony, has grown to include 52,000 testimonies from the 1937 Nanjing Massacre in China, the 1994 Rwandan Tutsi Genocide, the Cambodian Genocide of 1975-1979, the Guatemalan Genocide of 1978-96, and the Armenian Genocide of 1915-1923. Testimonies were collected in 62 countries and 41 languages. Given the diversity and deeply insightful content of the Shoah Foundation’s archive, the testimonies have the potential to support research, teaching and learning in many disciplines. If you wish to learn more about this new collection, please contact your Subject Librarian. 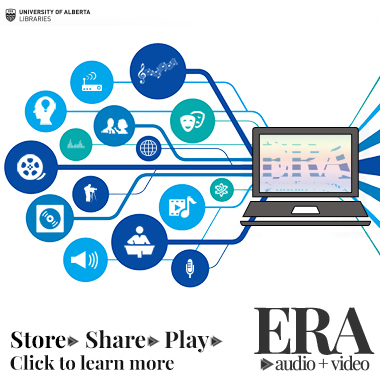 We are excited to announce the launch of ERA A+V, a new media-streaming repository that provides online access to audiovisual materials in support of teaching, learning, and research at the University of Alberta. The platform is developed, hosted, and managed by UAlberta Libraries. While browsing ERA A+V, you’ll notice that you can easily create playlists and embed videos into other websites. The service provides powerful multimedia streaming functionality and allows for CCID protection of files. Additionally, audiovisual content from ERA A+V can be further restricted to certain audiences (e.g. a specific class), which helps instructors abide by copyright restrictions. How long is long term exactly? Could be 10 years, 100 years or even more. World of Story - audio recordings of traditional folk tales read in 20 different languages, created by the Edmonton Mennonite Centre for Newcomers, for the purpose of language learning. You can listen to “The Enormous Turnip” in Tigrinya, the “Bundle of Sticks” in Arabic or “The Stranger Who Snored” in Mandarin, just to list a few examples. The Nosotros Television Programme - an Edmonton-produced Spanish language TV program for the Latin American community. The programme, founded by Lito Azócar, represents the views, history and memory of local Latin American communities in Alberta and is a rich source of information for those studying these communities. If you would like to add your audiovisual recordings to ERA A+V, please fill out our form. We can’t wait to hear from you and hear about your audio-visual projects. What’s next for ERA A+V? The UofA Libraries are currently in the process of depositing the 50 year archive (1967-present) of recordings of performances at the UofA’s illustrious Convocation Hall. Check out the ERA A+V description page on the Libraries website for more information and to learn about our our service policies. Instructors: Have you tried our Reading List Service yet? Instructors, are you taking advantage of the libraries' reserve service? Its a practical and useful service for busy instructors and students alike. 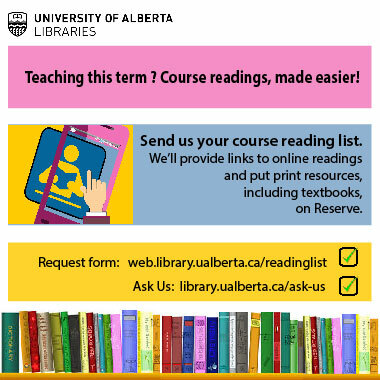 Send the library your course reading list and we will provide you with durable links to online articles and ebooks. You can use these links in eClass and on course websites so your students will have easy access to class readings. Some ebooks may only be accessed by a limited number of people at a time but when you use this service, we raise user limits on e-books for course readings. The library already has many required textbooks available in our reserve rooms through a partnership with the Bookstore. If your course text needs to be added, please include it in your request. University of Alberta Libraries Staff Picks - Summer Reads! Ok students, staff, faculty.... put down your textbooks, your research or whatever you are working on. Seriously, summer is in full swing and now is the time to enjoy some leisure reading before fall term begins. You know you want to! You've earned it! 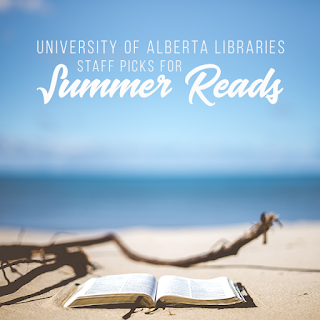 We even asked library staff to share their favourite summer reads and compiled a list. There is a little bit for every taste on this list, including thrillers, mysteries, romance, graphic novels, non-fiction and poetry. Most of these books can be found in our collection, and if you decide you want to check it out, just click on the book cover to get a direct link to the book's record in the library catalogue so you can find it in the stacks! We also included the submitting staff members comments, to give you a sense of what they are about. We highly encourage you to explore many of great reads in our collection. You could also stop by Coutts Library and borrow one of their lawn chairs and enjoy the sun while you read. You will thank yourself when things get busy come fall! An entertaining memoir of a prominent woman scientist that reads like a good story and expresses a wonderful passion for plant life. Pulitzer prize journalist and novelist reflects on her career, family life and her view life's later years to come. Allows you to experience the thrills and challenges of modern day exploration, and to appreciate the beauty of the Canadian north. Funny and good character development... pick any book in the Discworld series. It is very relevant to today, particularly the extreme evangelical republican party, and the new TV Series. A Canadian author who writes modern mythology fiction very influenced by Native American Coyote myths and European faerie tales. It's a quirky read, and I love the way it's written through notes, letters, and emails. Exciting, terrifying, agonizing, incredible art . . . a Delisle masterpiece! A fascinating read about Limonious & Jamaica’s 80s/90s dancehall culture, with rich visually appealing artwork. The honest way it portrays reservation life and the struggle to overcome barriers. Catch up with the 3rd book in Diana Gabaldon's Outlander series before it premiers on September 10th. Beautiful writing with bits of magic and whimsy. It's a book of short stories [though they all connect, in some way], so you get a variety of wonderful stories. The best part about this book is how it is told in two voices: one of the elder and one of the city-raised boy. The dry sense of humour makes it fun to read too. Fans of the show "Black Mirror" will love this. A consipiracy/thriller centred around a Google/Apple-esque company. I also saw some parallels with elements of scientology and the culture of denunciation in communist regimes. A real page-turner and a great summer read. It's self-help for people too punk rock for self help books. Looks at an interesting facet of social media. Also, a fascinating peek into another aspect of Zimbardo's prison study. Paper Girls by Vaughan, Brian K.
The art work could tell a story on it's own. Chelsea Vowel discusses Indigenous issues in a direct voice with excellent examples. A great introduction to Indigenous issues in Canada, should be required reading! A rising star on the American poetry scene. Olivia Gatwood is an amazing talent whose work is raw, enlightening and beautiful. Poetry is also great short reading for summer vacations. If you are missing Charlaine Harris' characters from Bon Temps, this is the next best thing. Serious but beautifully detailed and written. Jane's wit, humour, and poignant prose help you to remember the importance of self-reflection and give a window into life in regency England. “Sometimes one is guided by what they say of themselves, and very frequently by what other people say of them, without giving oneself time to deliberate and judge." 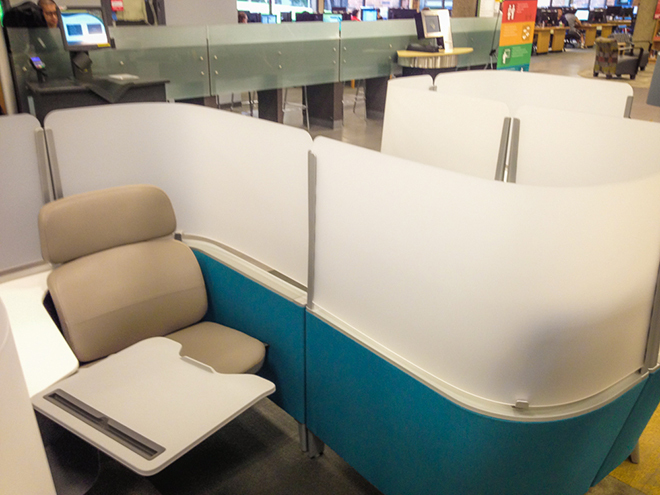 Rutherford Library's New Study "Pods"
Laptop tables that revolve on swing-arms. 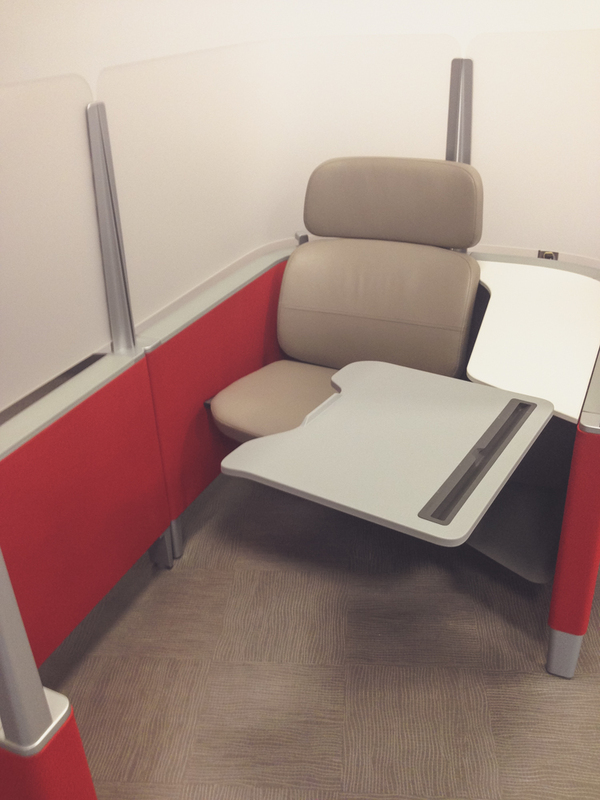 A privacy shield to provide a private study environment. 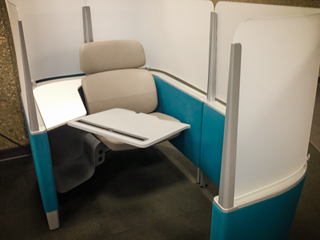 Larger pods also have plugins for charging phones or laptops while you study. The study pods can be found on the main floor of Rutherford North, four near the entry, five near the newspapers area by the computers and 11 by the main staircase and elevators. Come and check out the new pods before the fall rush!